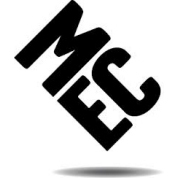 This blog by Emma Lane, Senior Research Executive at MEC, explores consumers' attitudes to targeted communications, data and privacy following MEC UK's Project Slipstream venture. Consumer targeting and personalisation is becoming the norm in advertising. This is when brand communication is tailored to a consumer based on data collected about them (such as demographics or behaviour), making them highly relevant and more likely to be effective. This has been happening for a long time in online display, through practices such as behavioural tracking, where information collected from an individual's web browser behaviour is used to determine the ads served to them – and the practice is increasingly being used in ever more ways. Lloyds Bank targets offers to customers based on transaction history insights, while Tesco has installed face-scanning technology in its petrol stations to target queueing customers based on their age and gender. Last year, MEC UK teamed up with MirriAd, STV and the government's Technology Strategy Board for Project Slipstream to build a working prototype of personalised product placement. The technology at the heart of this allows for the embedding of personalised product placement when viewing TV programmes on demand. Product placements were tailored to the gender of the viewer in the research study conducted for Project Slipstream. It is clear that targeted, relevant advertising is a growing trend. But how do consumers feel about the use of their data in this way? MEC UK conducted an online quantitative research study to investigate consumer's attitudes to targeted communications, data and privacy. The majority of consumers believe they have some kind of understanding about data gathering, data protection and privacy issues with only 7% saying they don't know anything at all. Only 8% say they have no understanding of how companies or brands gather information on them. Understandably, when it comes to companies collecting data about them, consumers have concerns. Three-quarters are concerned about their data being used inappropriately, as well as their data falling into the wrong hands to be used for fraud or crime and 71% also worry that there isn't enough consumer protection around data collection and privacy. Once a consumer shares their information with a company, they expect them to use their data responsibly; 62% say they would mind if companies they shop with share their data with others to suggest new products/services for them to try. Despite their concerns, consumers are becoming accustomed to data gathering, with 74% saying it is impossible to maintain privacy or anonymity these days and 63% agreeing that it's not possible to do all the things they want to in life and not have companies gather information on them. Consumers want their information used on their own terms; 44% of consumers don't mind their data being used to show them relevant advertising if they can opt out and 30% said it's fine as long as it isn't patronising. Interestingly, consumers see the advantages of data gathering when there is something in it for them – 39% are happy to share their data if they benefit in some way and 44% are fine for companies they shop with to use their data if it means they get sent relevant offers. They also understand the benefits relevant advertising brings, with 41% agreeing they would be more likely to spend money with a company that provides personalised deals/offers and 39% saying they would pay more attention to advertising that is relevant to them. Consumers' attitudes towards relevant communications differ between media channels. As you would expect, online shopping websites are seen as the most acceptable place for relevant advertising (32%) whereas mobile is seen as the least acceptable platform (12%). With mobile phones being such a personal device this is hardly surprising. Interestingly consumers appear to be more receptive to targeted product placements than targeted advertising, with 47% finding the latter invasive compared with 29% for relevant product placement. There is no doubt that the trend towards targeted advertising will continue to grow. Consumers are increasingly aware that this is becoming the norm and their personal data is valuable to companies. It is important that brands use consumer data responsibly and creatively, especially when they are able to provide tailored/relevant benefits. The rewards will be great for brands that do this effectively. Here is a selection of the content published on Warc on issues surrounding big data, personalisation, targeting and privacy. MEC, the media agency, contributes regular posts on topical issues relating to media planning and research.